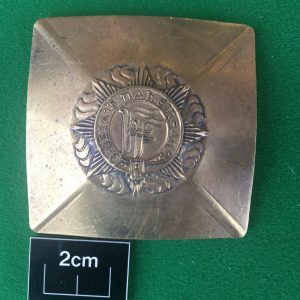 A fantastic cap badge. 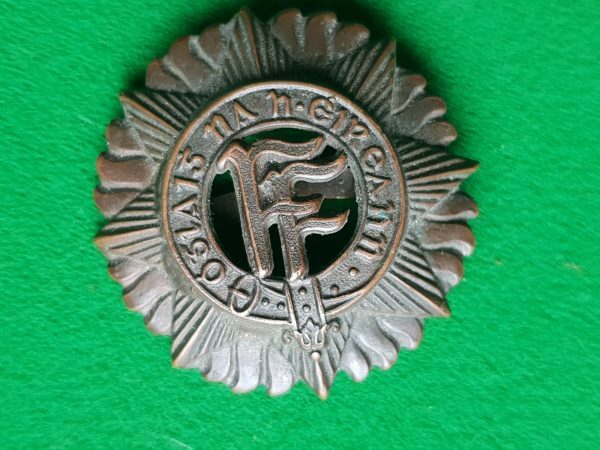 I would imagine this particular example is quite early in this series of Irish army officer cap badges. Most likely 1920’s – 40’s. 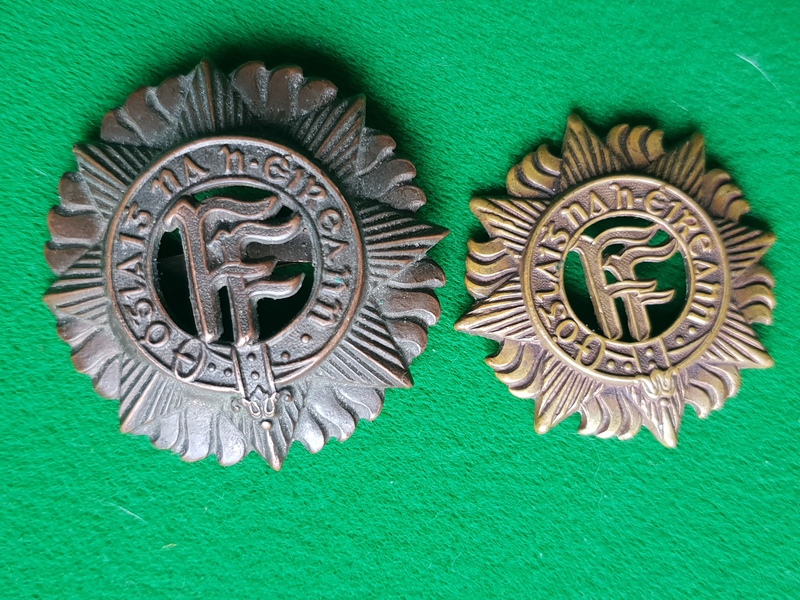 In superb condition, this badge has two prongs on reverse for fixing to an officer’s service cap. 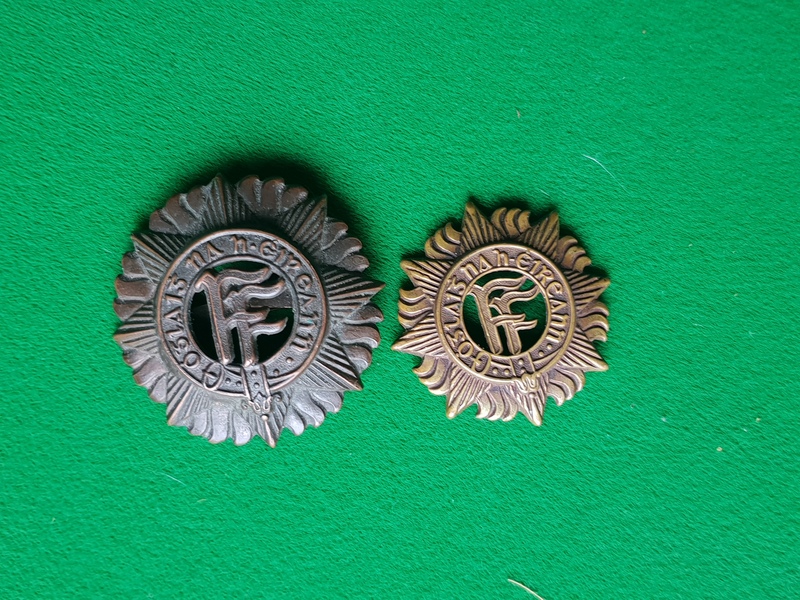 (Note, the other ranks cap badge is in the pictures only for comparison purposes). 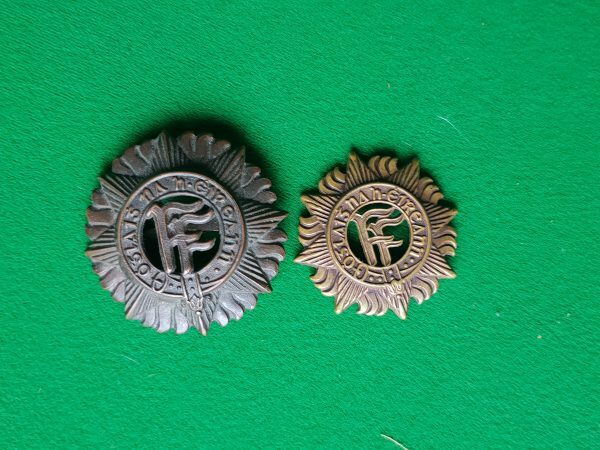 This is a bronze badge, much larger than the standard other ranks cap badge of the same design. 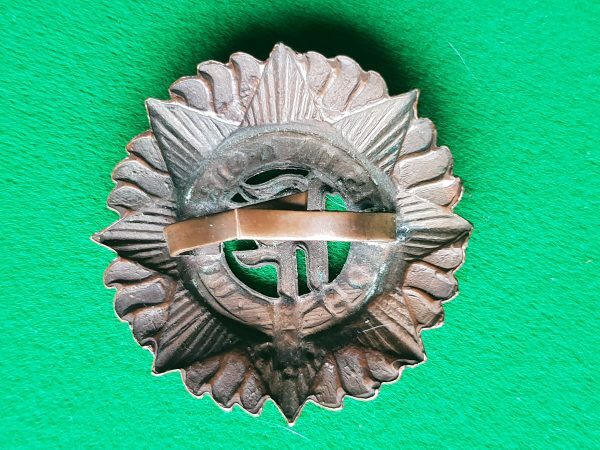 In diameter, this badge measures 45mms across. It has a lovely old bronze colour and nice patina. Excellent condition with no evident service wear. 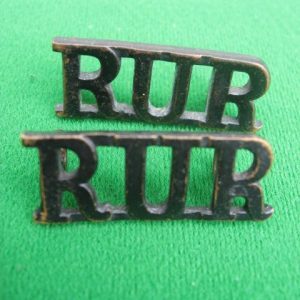 This badge is ideal for dispaly in its own right or to attach to an officer’s peaked cap. 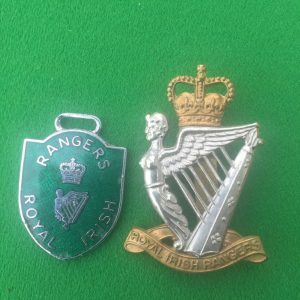 The badge could easily fit an Irish army 1927 pattern Vikers helmet as well. The prongs could be bent down to fit the front of such a helmet. Please note however that even though the badge is the exact shape and size of that worn on a Vikers helmet, the badges for the Vikers helmet had a differnt type fitting to reverse. 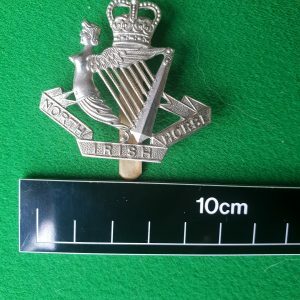 Also pleasebe aware that smaller othr ranks cap badge is included for display/comparison purposes only and is not included in this sale.